Our bin services are in crisis. 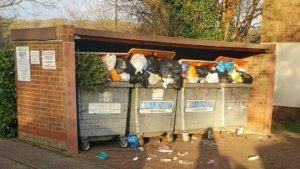 Literal mountains of rubbish have been building up in many estates across the borough, with the west of Barnet hardest hit. Council management have shamefully brushed off disgusting scenes in Grahame Park, by saying it was simply “forgotten”. Forgetting to collect rubbish in a major working class estate is not just a nuisance, it’s a health and environmental hazard. 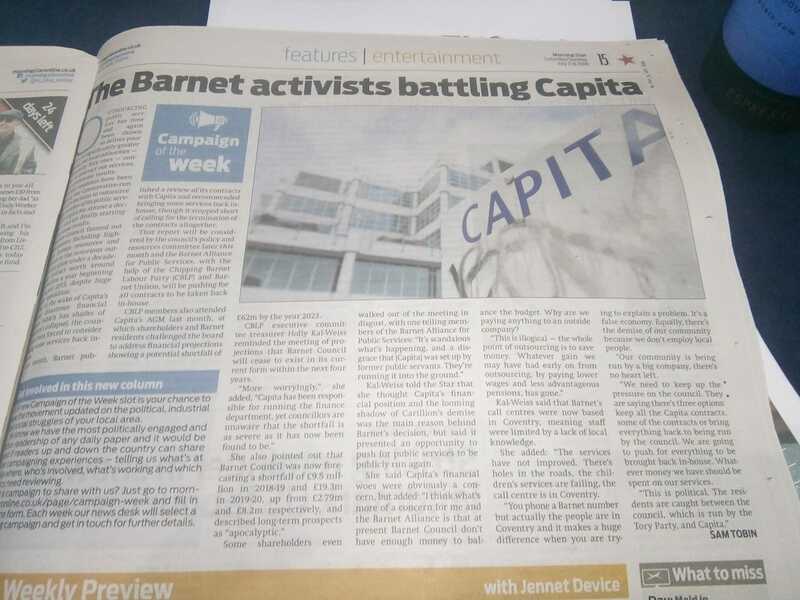 The problem comes directly from serious mistakes made by Barnet Council, which prefers to pay huge sums of our taxpayers’ money to Capita instead of investing it in good, accountable services, and chooses not to listen to its workers. Despite warnings from sanitation workers, routes were changed and facilities downgraded without taking the needs of communities into account. Shamefully, the council is preventing any discussion of the crisis, and has prevented opposition councillors and the public from bringing up the issue at the Town Hall. Barnet Alliance for Public Services have called for public meetings to discuss the emergency. Facebook event here. 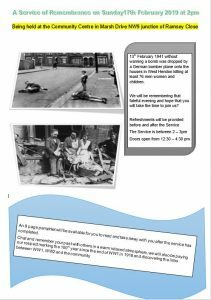 Barnet Alliance for Public Services is back! 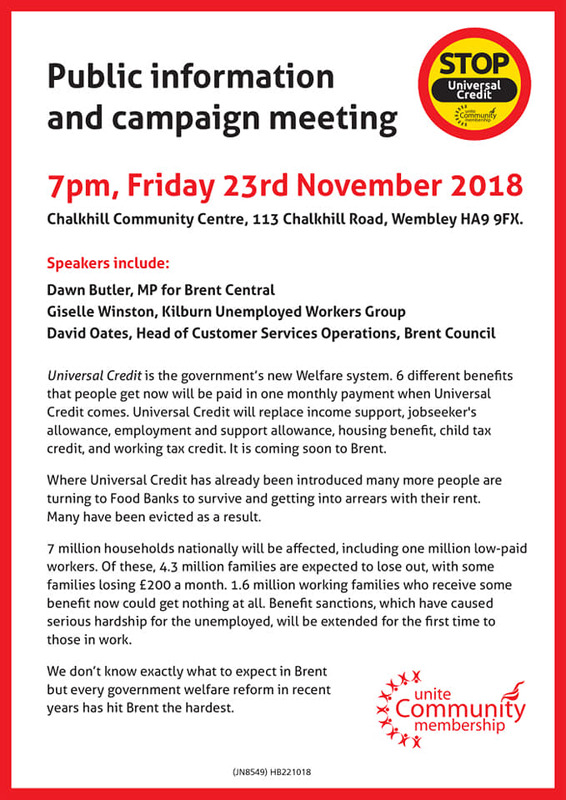 To mark the occasion, Barnet Alliance have arranged for Mr Reasonable to provide a short overview on Capita and their relationship with Barnet Council. 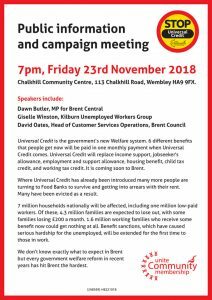 As an added bonus they have incredibly managed to secure John McDonnell, Shadow Chancellor, he is speaking at PCS conference earlier that day but has said that he hopes to drop in at some point during the two hour meeting. 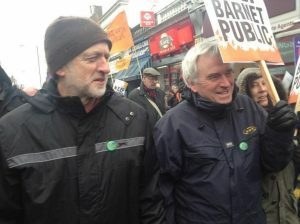 John along with Jeremy Corbyn have a long association of supporting Barnet Alliance campaigns. 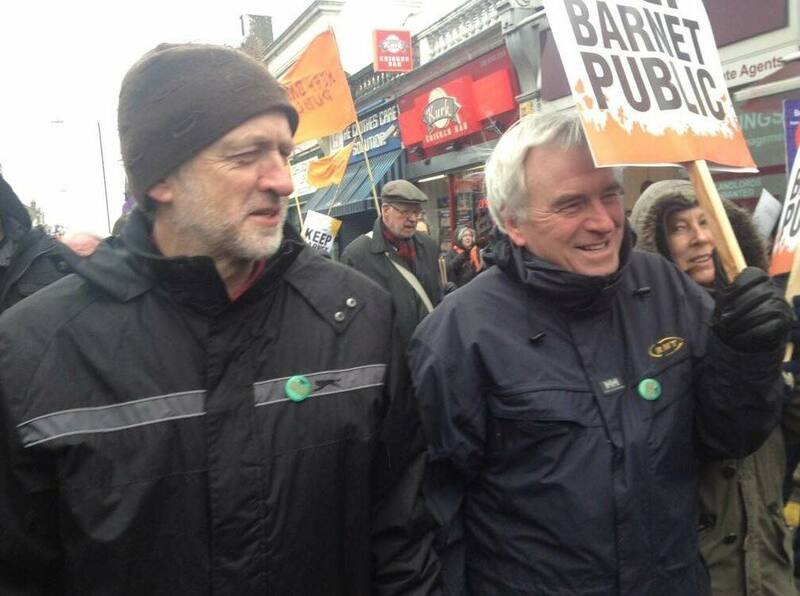 Both them still talk about the Barnet Spring march that took place in a blizzard. 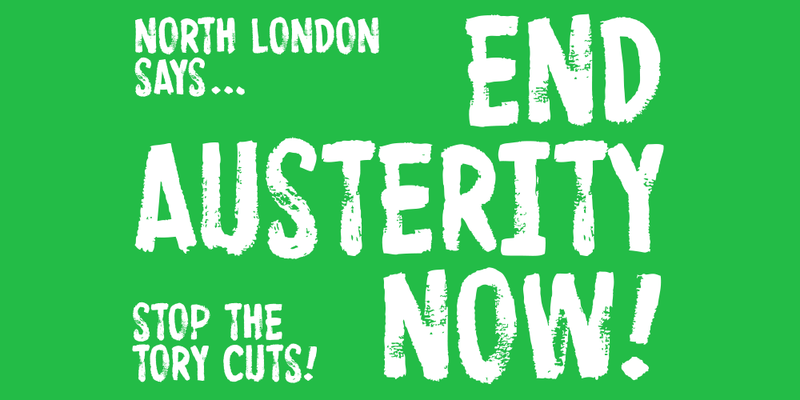 Barnet Alliance, will be both organising and supporting local campaigns in Barnet. 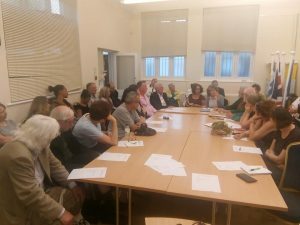 If you want to get involved in positive campaigning here in Barnet to help fight to support and save public services then start making plans to attend the weekly Barnet Alliance meetings. 2018 SEES SEVERAL NOTABLE ANNIVERSARIES. ALL HAVE IN COMMON THE SUCCESS OF DIRECT ACTION IN ACHIEVING JUST RESULTS. 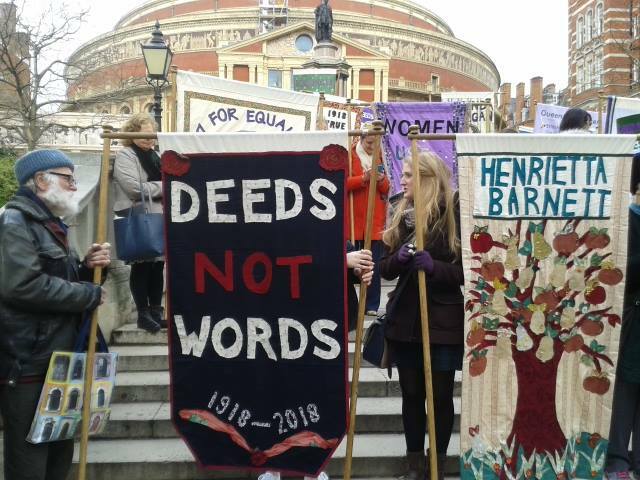 DEEDS NOT WORDS was a most appropriate slogan chosen by the Suffragette movement in and after 1918 to epitomise their campaign for women to get the vote in Great Britain. Their epic and heroic campaign, which included breaking unjust laws, was eventually successful. The motto has resounded down the years and is and has been as relevant to subsequent activists as it was in 1918. 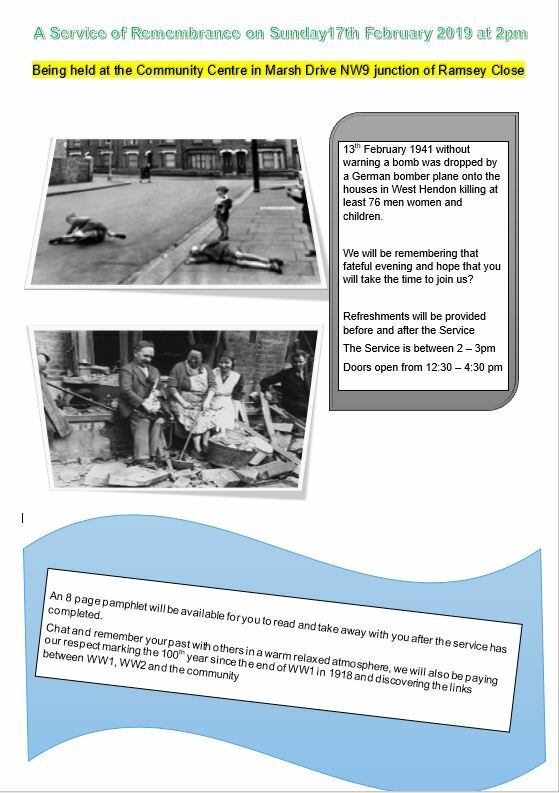 In 1963 the annual CND Easter march from Aldermaston to London inctuded members of the committee of 100, among them Bertrand Russeil who, unafraid and favouring direct action, inspired peace demonstrators by distributing a “spies for Peace” leaflet and leaving the march to expose the secret details and whereabouts of Regional Seats of Government bunkers at a Berkshire RSG. Russell was among those arrested by the police for his beliefs. On Maunday Thursday 5 April 2O12, coincidentalty also at Easter, Barnet Council without notice closed Friern Barnet library, despite a vigorous local campaign to save it from closure. Five months later on 5 September 2012, a small group of squatters from Camden led by Peter Phoenix walked through an open window, reopened the library and invited the community to join them in restocking its shetves with donated books and reopening the library to the public. After a Crown Court case the squatters were evicted, but the magistrate allowed a stay of execution for Barnet Council to negotiate a lease with the local community to run the library. Six years later in 2018 they continue to perform this function. The purpose is proclaim the message ‘ Proud to be a migrant/Proud to stand with migrants.’ Alternatively, you might choose to bring messages to the day, depending on your organisational or individual priorities. Celebrating migrants and migration does not preclude protest and there are lots of things to protest against: The impact of immigration controls on migrant workers; the ‘hostile environment’; the failure to guarantee EU citizens’ rights; restrictions on health care to migrants. What do you want the country to know about the value that migrants bring to your communities? What migrant voices and perspectives are being left out of the public debate? What would you like to highlight and draw attention to? Why are you proud to be a migrant? Why are you proud to stand with migrants?